Cris Plaza is an Australian resident with close ties to Indonesia, having lived, worked and explored many areas of the country multiple times. I met with Cris to discuss his experiences, with particular emphasis on the integration of design and the arts into the Indonesian culture. 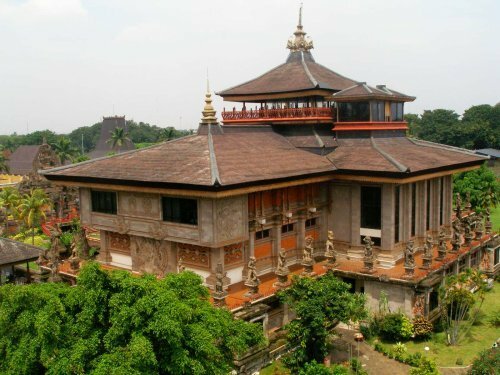 Cris has found that although design may not be immediately noticeable as a prominent part of the Indonesian culture, as it may be in more westernised nations, it is found in the details, in particular the architecture, referring to the Chinese influence of ‘red tiled roofs and pointed, dragon like corners’(C. Plaza 2015). He discussed the way that the local context contributes to the motivation behind art, with it becoming a necessity rather than a hobby, as many lower class citizens constant need for survival is what drives them to make profitable arts or design in order to make a living. In many cases, the Indonesian arts and religion go hand in hand. Cris explained to me the way that religion influences design in the Indonesian culture, with religious ceremonies serving as an opportunity to pull out all the stops in terms of aesthetics, ranging from the elaborate costumes and clothing, to temporary buildings or stages and also the presentation of food and stalls. 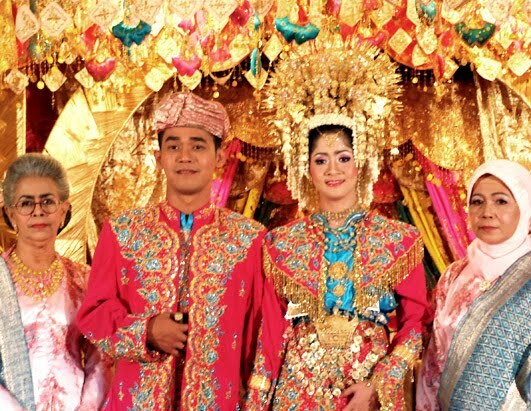 Cris attended a few Indonesian weddings where he found there was great focus on the beautiful design details such as Chinese influenced paintings and settings as well as again, the elaborate costumes which involved brightly dyes, and heavily embroidered and beaded fabrics. These details in the art and the specifics are embraced to a much greater extent in the Indonesian culture than in western society. The element of Indonesian society that dominated Cris’s experience of the Indonesian culture throughout his travels, was the Indonesian peoples dedication to religion, from birth to death. 87% of Indonesians are Muslim; they live for and believe in the Quran which involves many commitments, from no alcohol or tattoos to staying married for life, as well as partaking in Ramadan. Australians can tend to have views of the Muslim people that are shaped solely by the media’s portrayal of them, so there is great value in experiencing the religion and culture first hand to gain a more well rounded understanding of how it is practiced. Speaking with Cris allowed me to gain a better understanding of the way that religion and culture shapes design in Indonesia, and I found it particularly interesting hearing about the motivations and drivers in the design community due to the designers/artists lower social economic status. Plaza, C. (2015) Interviewed by Alexandra Shiel, 24 April 2015. 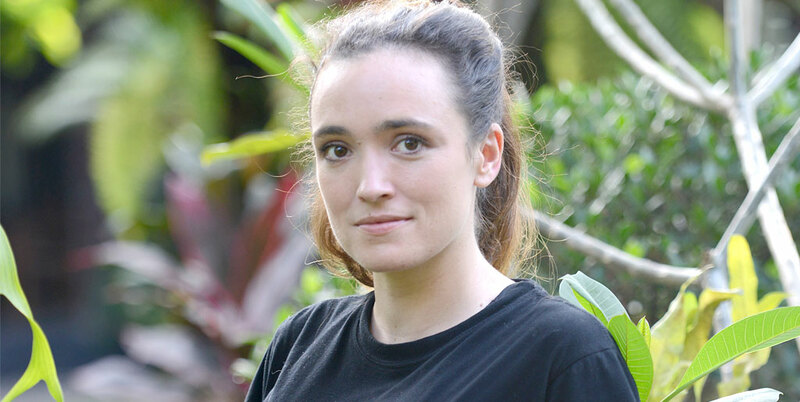 Sacha Stevenson is a content creator on YouTube, on which she posts a series of popular, satirical, instructional videos on ‘How to be Indonesian’. Stevenson was born in Canada but has lived in Indonesia since 2001, and it is here that she started her YouTube series based on common quirks and mannerisms she noticed to be consistent behaviour amongst Indonesian locals. Sacha immersed herself in Indonesian culture from the moment she moved there, becoming an English teacher, learning Bahasa Indonesian fluently by constantly talking to the locals and her students and even converting to and practicing Islam. She was also the first person to roller-blade across Java from East to West, after 6 weeks of training. She has no intention of being racist towards Indonesian people, and it does not come off that way, however she has of course received some criticism and accusations. This criticism is increased due to the fact that her videos are broadcast on an open forum (YouTube) which means anyone can voice their opinions on her content, both positive and negative with no censorship or consequences. Sacha says of this experience ‘I’ve received death threats… but the response has almost all been positive. And the videos that cause some controversy also get the most hits.” On the whole, her series is presented in a very light hearted manner, and it is generally very well received, both by Indonesians, and others worldwide, with only a few minor exceptions and criticisms. Some of the main cultural consistencies she points out in her most popular episode are creative driving habits, exaggerated kindness in the company of guests and the very common questions of ‘Have you eaten?’ and ‘Did you eat rice? If you don’t eat enough, you-ll get sick’. It is these small observations she makes that allow for a deeper development of knowledge and connections as it ventures below the surface of basic cultural understanding. Hapsari, I. 2013, How to Act Indonesian: Insulting Us? WordPress, Indonesia, viewed 22 April 2015, <http://indrihapsariw.com/2013/09/07/how-to-act-like-indonesian-insulting-us/>. Multiple Authors 2015, How to Act Indonesian, Jelsoft Enterprises Ltd., viewed 22 April 2015, <http://www.livinginindonesiaforum.org/showthread.php/39112-How-To-Act-Indonesian>. Solloway, B. 2013, Sacha Stevenson on ‘How to Act Indonesian’, Jakarta Globe, Jakarta, Indonesia, viewed 22 April 2015, <http://thejakartaglobe.beritasatu.com/features/follow-friday-sacha-stevenson-on-how-to-act-indonesian/>. Stev, B. 2013, Female Foreigner on How to Act like an Indonesian, IndoBoom, Indonesia, viewed 22 April 2015, <http://www.indoboom.com/2013/videos/female-foreigner-on-how-to-act-like-an-indonesian-reactions.html>. Stevenson, S. 2013, How to Act Indonesian, YouTube, Indonesia, viewed 22 April 2015, <https://www.youtube.com/watch?v=Bp2Fnt0VbSo>. Indonesia, along with many other developing nations, struggle with maintaining effective waste disposal solutions, and will often have to turn to short term fixes that not only harm to the environment, but can be detrimental to the safety of the community. In 2005, a 200 foot open garbage dump collapsed in Bandung, causing a landslide over two villages, killing 140 citizens and injuring many more. As a solution, many villages burn their waste, but this is an also and ineffective method as it contributes greatly to air pollution and which damages the environment and contributes to illness in the village’s residents. Indonesian environmental engineer, Yuyun Ismawati, has designed sustainable community-based waste and sanitation management programs that provide employment opportunities and empower low income residents to improve the environment in Indonesia. She was awarded the Islands and Island Nations 2009 Goldman Environmental Prize for this work in 2009. Her initiatives are a combination of architecture, design thinking and community planning, and are government funded when possible, but also funded by the communities themselves. Ismawati created her own NGO, called Bali Fokus, which allowed the spread of her waste management solutions beyond just a few communities, into the greater area of Indonesia, as well as raising awareness of the waste and environmental issues to the larger community. 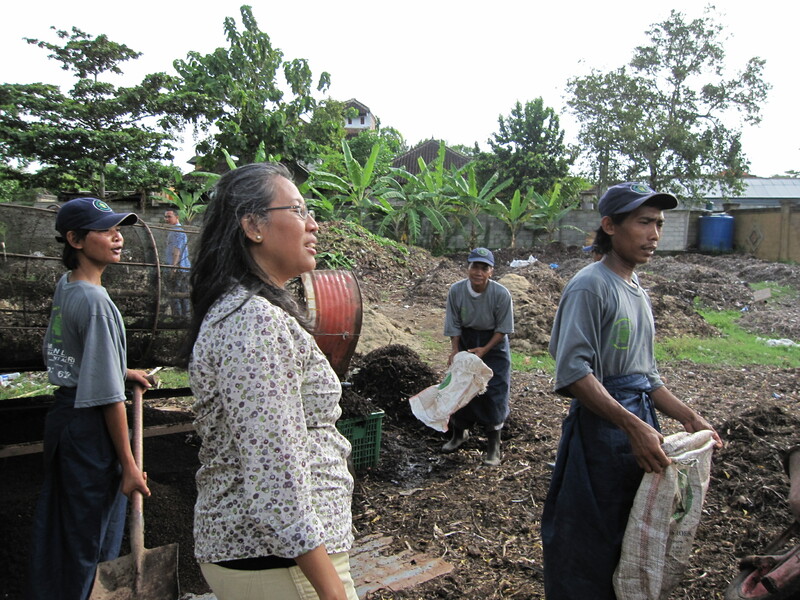 A major part of Ismawati’s influential work was with the Tamesi village, where a solid waste management program was initiated, by introducing a waste management facility owned and operated by the village itself. She recruited and trained local residents to operate the facility, which provided more job opportunities to these low income citizens. These job opportunities as well as the sale of recyclables and compost coming out of the facility boosted the local farmers and the community as a whole. She also worked on a ‘decentralised solution initiative’ as a collaboration with Indonesian housewives, with a focus on village households. Ismawati and her team aimed to reduce the total amount of waste coming out of individual households by educating these women in simple waste reducing practices such as waste separation and composting. It is estimated that this initiative reduced household waste by 50%, with many households also gaining much needed income from selling compost or crafts made from recyclables at the local markets. In order to create a more long term fix for Indonesia’s waste issues, Ismawati set up an education and waste and sanitation management program called ‘SANIMAS’ which educates communities on the issues at hand, as well as providing them with sustainable waste management and sanitation programs specific to their community, similar to the Tamesi Village project and ‘decentralised solution initiative’ discussed above. SANIMAS is now a nationwide solution initiative, with up to 75 small to medium sized communities being added to the program every year. BaliFokus 2014, Yuyun Ismawati named an Inspiring Woman of the Year by FORBES Indonesia, BaliFocus, Bali, Indonesia, viewed 25 April 2015, <http://balifokus.asia/balifokus/blog/yuyun-ismawati-named-an-inspiring-women-of-the-year-2014-by-forbes-indonesia.html>. 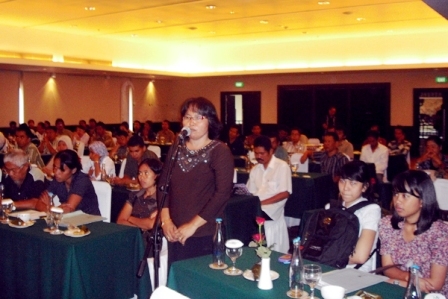 BORDA South East Asia 2009, Sanitation by Communities – SANIMAS, Bremen Overseas Research and Development Association, Yogyakarta, Indonesia, viewed 25 April 2015, <http://www.borda-sea.org/sanitation-by-communities-sanimas.html>. Gies, E. 2009, As Tourism Rises in Bali, What to do with Waste? The New York Times, New York City, USA, viewed 25 April 2015, <http://www.nytimes.com/2009/05/25/business/energy-environment/25iht-rbogbali.html?pagewanted=all&_r=1&>. Ismawati, Y. 2009, Sanitation by the Community in Denpasar, Indonesia (SANIMAS), United Nations ESCAP, Bangkok, Thailand, viewed 25 April 2015, <http://www.unescap.org/resources/sanitation-community-denpasar-indonesia-sanimas>. The Goldman Prize 2015, Yuyun Ismawati, Goldman Environmental Foundation, San Francisco, USA, viewed 25 April 2015, <http://www.goldmanprize.org/recipient/yuyun-ismawati/>. I agree to a great extent that design is shaped by a local context, as design in its very nature is a response to a need, needs which are unique to a locations social, political and environmental context. This context thus alters the way in which a design comes about and is shaped, in order for it to fill its needs. If a design does not meet the needs specified by the particular localised social and political contexts, it is unlikely to be a successful or useful design initiative. In wealthy cities designers are able to explore more avenues and focus on aesthetics as consumers can afford more abstract products, whereas in more remote, lower class areas, designs will tend focus more on the necessities needed to survive. This shows how the intent and end goal of design is shaped by local context, not only the aesthetics. As a very multicultural and multilingual nation, Australian design is shaped quite differently. Not only do we often see signage and advertisements in languages other than English, we also see designs that appear to mimic the visual styles of a variety of other cultures due to the cultural influences and background of the designer themselves. A example that demonstrates the impact of Indonesia’s multi-faceted contexts on design is their everyday clothing and fashion design, which is shaped by their environmental, religious and cultural contexts. As with any culture, people tend to choose their clothing depending on what is deemed to be socially and culturally acceptable, for example, grown Indonesian men will not wear shorts as this is seen by society as being clothing of young boys, not adults. 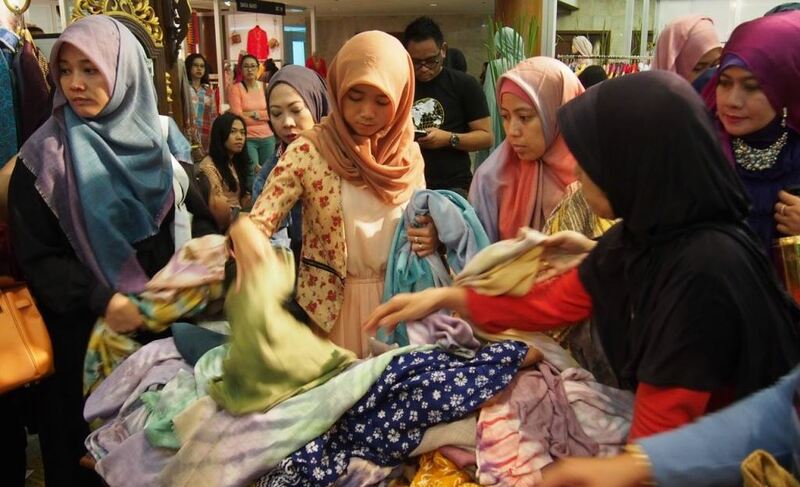 As Indonesia is 87% Muslim, many women will choose to wear either a traditional scarf (kudung) or a full veil (jilbab), which opens up a niche market for fashion designs in this area. The types of clothing worn is also shaped by religious context, as it is considered more acceptable to wear full lengths pants and skirts, as well as long sleeved tops. Due to Indonesia’s tropical climate their average temperatures are around 30 degrees Celsius, resulting in light cotton fabrics being a very popular choice in order to keep cool as it is very breathable and limits sweat and overheating. 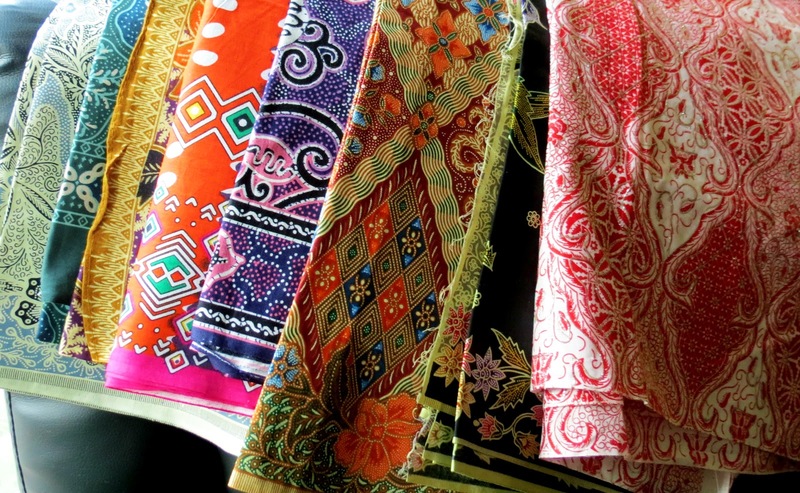 Indonesian culture is entwined with age-old traditions which contribute to the print and designs of the fabrics used in their fashion design. One of the most common traditional printing methods is called Batik, which is a technique that uses wax-resist dying. Clothing choice is even shaped by social classes, with most upper class citizens tending to follow western fashion trends, whilst the middle and lower classes generally stick to more traditional, and religion-oriented styles. Chang, J. 2014, Design’s Multicultural Influences, Metropolis Magazine, New York City, USA, viewed April 20 2015, <http://www.metropolismag.com/December-1969/Design-rsquos-Multicultural-Influences/>. ‘everyculture.com’ 2013, Countries and their Cultures: Indonesia, Advameg, Inc., viewed 20 April 2015, <http://www.everyculture.com/wc/Germany-to-Jamaica/Indonesians.html#ixzz3YazQMHS4>. ‘Living in Indonesia’ 2015, Batik, The Traditional Fabric of Indonesia, Expat Website Association, Jakarta, Indonesia, viewed April 20 2015, <http://www.expat.or.id/info/batik.html>. Sharpe, J. 2014, Meet Indonesia’s Middle Class, Lowyinterpreter.org, Sydney, Australia, viewed April 20 2015, <http://www.lowyinterpreter.org/post/2014/02/24/Meet-Indonesias-middle-class-(part-4)-Purchasing-power-piety.aspx>.